The sea scallop (Placopecten magellanicus), also called the giant scallop, is the most commercial species of molluscan shellfish in Canada. 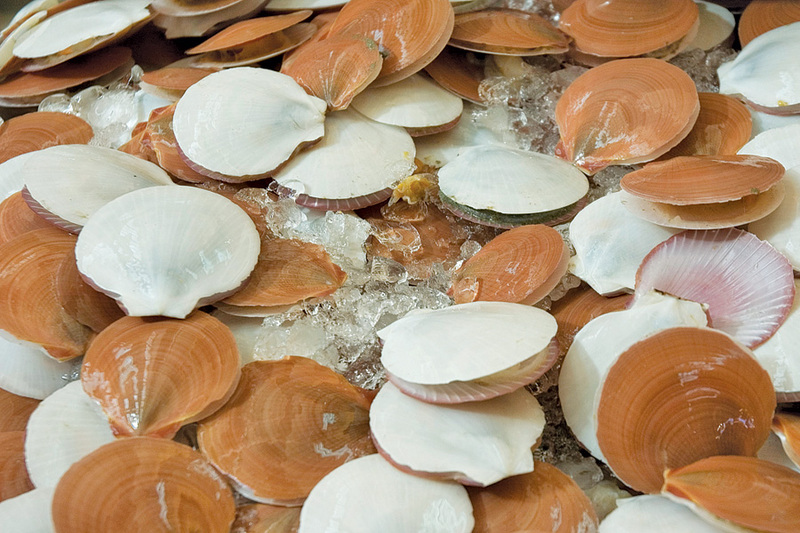 Sea scallops are found in the northwest Atlantic. 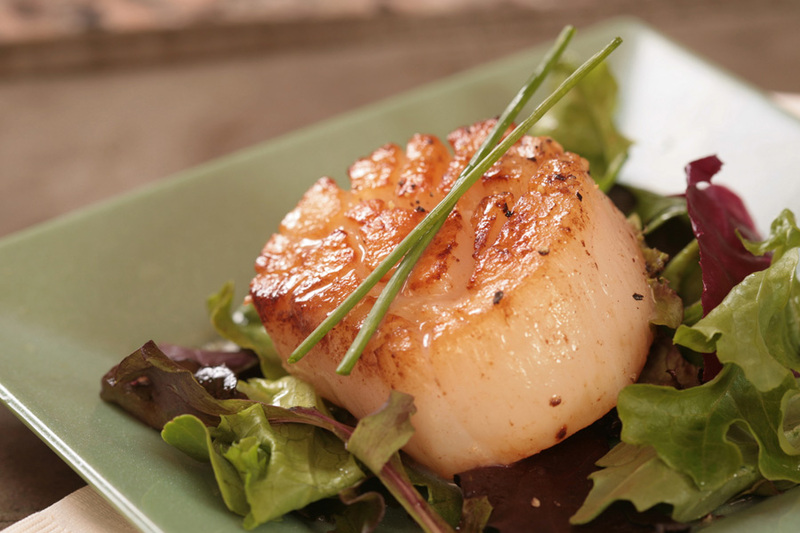 The sea scallop is a bivalve that is highly sought after for its meat. Both shells are round, almost equal in diameter, and are held together by a comparatively small straight hinge. The lower valve is flatter, smooth, and white or cream in colour, while the upper one is arched and usually reddish. The inner surfaces of both valves are smooth and pearly white, and have a satin-like lustre. The sea scallop fishery has been limited entry since the 1970’s. First recorded landings from the scallop fishery in the Southern Gulf date back to the early 1900’s. From 1923 to the early 1980’s fish harvesters were allowed to fish the entire Gulf of St. Lawerence. In the early 1980’s scallop fishing activities were identified to specific Scallop Fishing Areas (SFA’s). Scallops are shelled or shucked as soon as they are caught. Scallops landed in Prince Edward Island are marketed fresh or frozen. 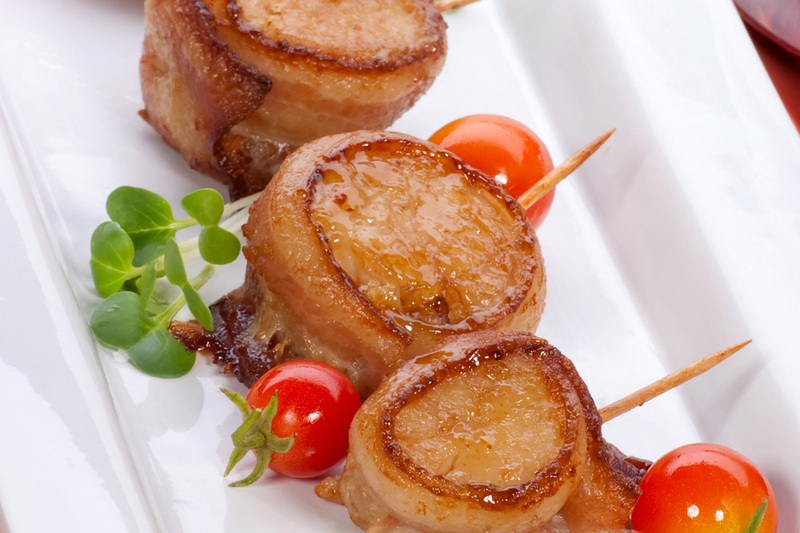 The growing demand and limited supply of scallops has led to this product becoming a prized seafood delicacy.